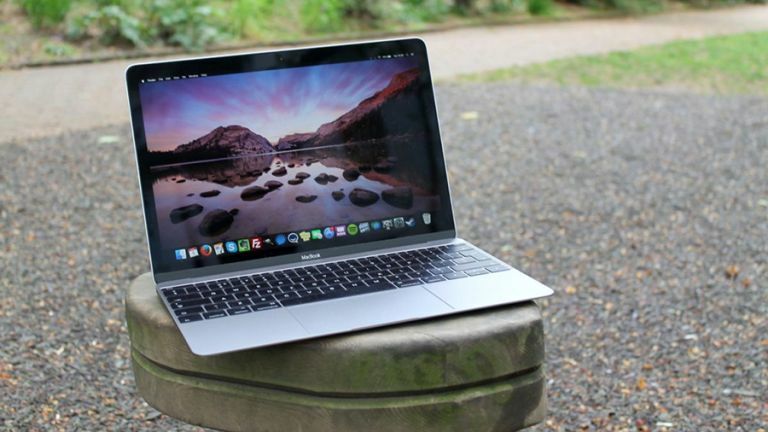 Apple's more powerful MacBook Pros may have stolen the limelight in recent months, but let's not forget the slimmer, sleeker Apple MacBook, relaunched as a redesigned, improved laptop model in March 2015 and followed by some pretty positive reviews. Two years is a long time in computing which has got us wondering what Apple might be planning for its less expensive notebook line in the near future. Can it go thinner and lighter still? Or will Apple beef up the processing performance? Here's what we know. There have already been two Steve Jobs movies but Hollywood could do something with the story of the MacBook too, there have been so many twists and turns in it. We don't have space to cover everything that's happened to Apple's iconic laptop since it first appeared in 2006, but there are a few key points to note while we wonder what might be next. Before we got a new MacBook in March 2015, it looked like the MacBook Air and the MacBook Pro had made the standard version pretty much redundant, but Apple had other plans. The unibody polycarbonate MacBook that preceded the most recent model was on sale from 2009 to 2012, and came with a 13.3-inch, 1,280 x 800 pixel display, 2GB+ of RAM, and a 2.4GHz Intel Core 2 Duo processor. There was also a slot-loading DVD drive and a mechanical 250GB hard drive. The very latest MacBook is of course a world away from the one that went before it. Three years is a long time in computing, and the new model comes with a 12-inch, Retina (2,304 x 1,440 pixel) screen, an Intel Core M processor, 8GB of RAM and up to 256GB in SSD space. Perhaps most importantly, it's just 13.1mm thick. Apple hasn't yet confirmed the existence of a version 2 of the latest-gen MacBook, but it seems likely to be on the cards. The segment of the market previously filled by the MacBook Air - a cheaper, lighter, less powerful option to the MacBook Pro - is now once again taken by the MacBook, so it wouldn't make much sense to revive the Air again (which hasn't been significantly updated since 2013). Apple has been regularly arranging events in March these days for devices that aren't the iPhone, so March 2017 might be a good bet for the MacBook 2 - it would be just about two years since the original revamp. The MacBook 1 got a minor refresh in April 2016, which again points to another update around the same time in 2017. Intel's new Kaby Lake CPUs are hitting the market (and rumoured to be coming to the MacBook Pro), and their extra-performance-on-less-power specs would go down well on a refreshed line of MacBooks. That said, Apple has been in no rush to update its MacBook Pros. There's no guarantee we'll see the MacBook 2 in 2017 - but we'd say it's probable. There's not all that much you can add to a laptop these days - unless you count the Touch Bar positioned atop the keyboard on some of the new MacBook Pros. Apple seems pretty committed to the new feature and we think they'll probably come to the next MacBooks too. We've already mentioned Intel's new Kaby Lake processors - as usual, more performance for less battery drain - and they seem a cert for the next MacBook update, even if the rest of the specs are largely unchanged. The main selling point of the MacBook is its thinness and lightness, so these are likely to be the specs Apple focuses on when it unveils the MacBook 2. Expect something even thinner (that headphone jack could go) and lighter, with battery life that beats even the 10 hour estimate that Apple gives for the current model. Analysts have predicted a bump to 16GB of RAM rather than 8GB, though the 12-inch Retina display is likely to remain the same - remember that battery life. Apple might have a surprise up its sleeves but we'd expect no drastic changes to the MacBook formula: just faster, lighter models. With the 11-inch MacBook Air now officially discontinued and the 13-inch version likely to follow it in the near future, we'd like to see price drops across the MacBook line to give customers the option of a (relatively) cheap Apple laptop. A second MacBook 2 with a 13-inch screen would be very welcome too - just to see those webpages and movies just a little bit better - and some tipsters have suggested this is exactly what Apple's planning. We'd like to see the Touch Bar make its way to the MacBook 2, and we're also partial to a touchscreen laptop as well, though whether Apple agrees is another matter. We'd love to be able to doodle on the MacBook screen with the Apple Pencil, just like an iPad. Apart from that, we of course would love to see a machine that's faster, lighter, and with better battery life - it doesn't have to reach MacBook Pro levels of speed and power, as long as it goes a long, long time between charges. Whatever happens to the laptop line, we shouldn't have long to wait to see what Apple has in store for the MacBook 2. Dell XPS 15 vs 15-inch MacBook Pro 2018: which laptop comes out on top? How do the top computers from Apple and Microsoft compare? What do the latest versions of these platforms have to offer?